Geiger, D. L. 1999. The Nautilus 113: 73-77. 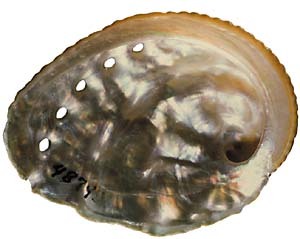 A new abalone species from the central Indo-Pacific is described. The species has been known for almost two decades and resulted in the introduction of a nomen nudum. The name is validated here as Haliotis fatui Geiger (ex Rehder MS). 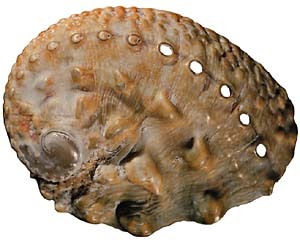 The species is described from shell, radular, epipodial, and hypobranchial characters. It is most similar to the highly variable Haliotis varia Linnaeus, 1758, but differs in shell and epipodial characters, and occurs in part of the range of the latter species: Tonga, Solomon Islands, Vanuatu, and Marianas Islands.